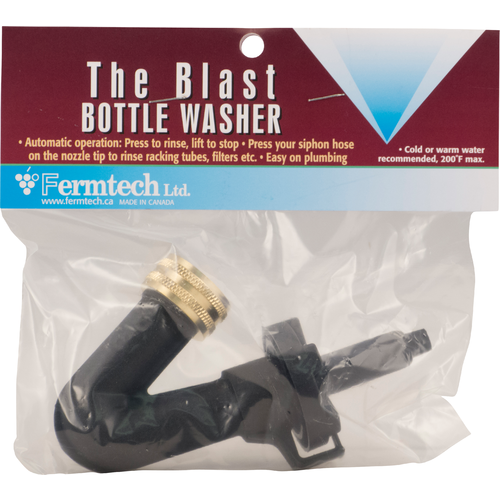 The Blast bottle washer allows you to easily wash bottles, carboys, tubing, and more. 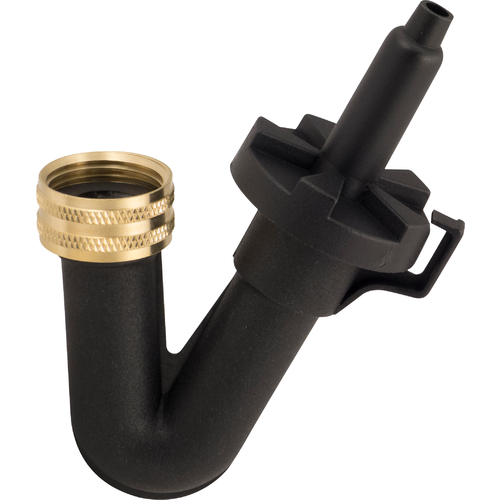 Attach to any faucet with a garden hose thread (or use faucet adapter OE495P1) and turn the water on. The internal valve will only spray water when you push down on the the nozzle. One of our favorite "must-have" pieces of equipment.